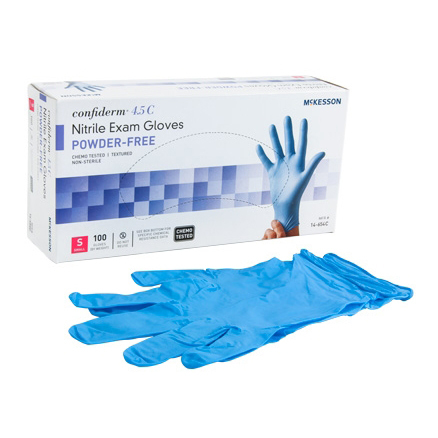 McKesson Confiderm 4.5C Powder Free Textured Fingertips Exam Gloves provide excellent tactile sensitivity and dexterity. They are made up of nitrile and are beaded cuff. 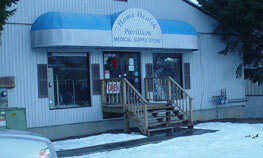 These gloves are non-sterile, latex free, ambidextrous and for single use only. These blue colored gloves are chemo tested. The fingertip thickness of glove is 0.15 mm (6mil) and length 9 inches. Exam Gloves are made with high quality materials and are designed to be used in situations where ultimate protection is essential.